The Aussie and I are spending Christmas this year in Southern California. After days of cold and rainy weather in the San Francisco Bay Area, the warmth and sun of SoCal is a welcomed change. We stayed for a night in Pasadena. Congregation Ale House is great - possessing an impressive craft beer list, and the best curry ketchup we've found so far. 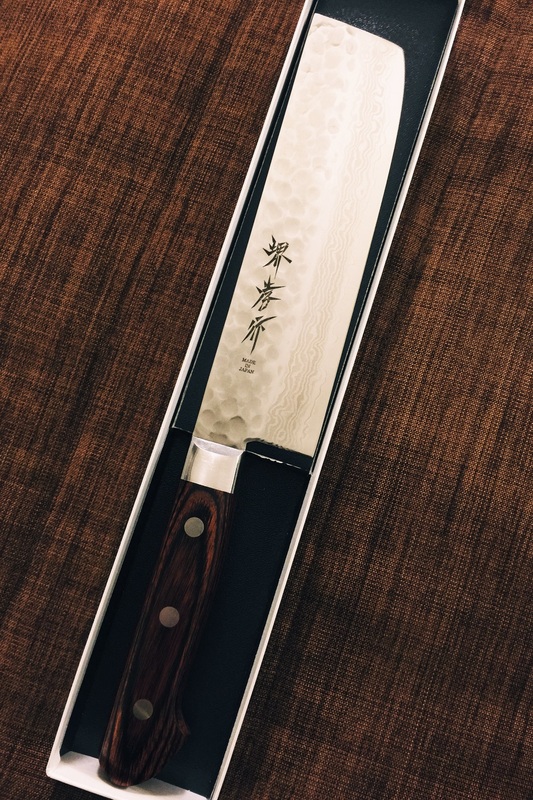 On our way to Vista, we stopped by Anzen Hardware, where I picked up this nakiri knife. We met up with friends at Mother Earth Brew Co in Vista. And also paid a visit to Peterson's. They were out of the Buttermilk Loaf, so we ordered this crazy huge Bacon Maple Bar instead. We are now in San Diego, enjoying a laid back Christmas. Happy Holidays to you!